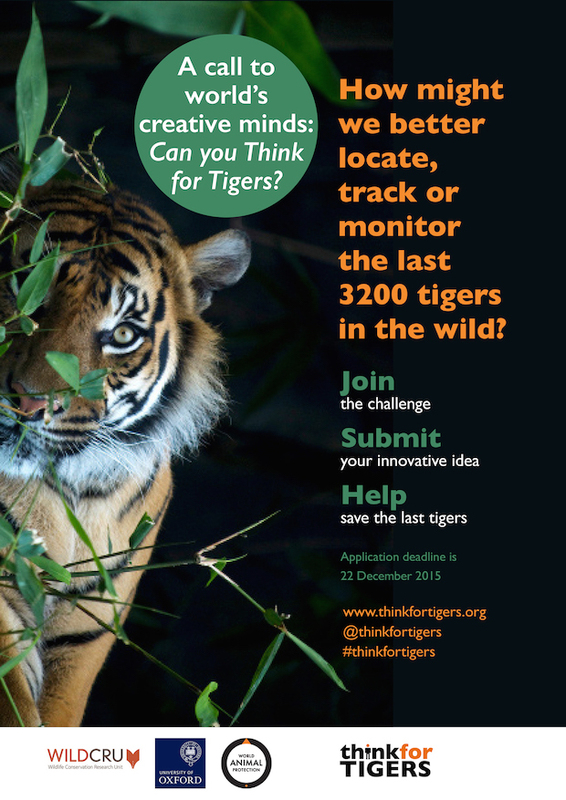 Think for Tigers reached over 70 countries and we received a range of innovative ideas. The Think for Tigers judges have now completed a vigorous review of the applications and identified the winner of the challenge. We are pleased to announce that the Winner of the Think for Tigers challenge is Courtney Dunn from US who submitted “The Prusten Project” idea. Courtney Dunn’s idea combines the fields of bioacoustics, animal behaviour and ecology to study social vocalizations of tigers. We would like to take this opportunity to thank everyone who supported, promoted and participated in the Think for Tigers challenge. More information on the winning idea will be shared via Think for Tigers website, WildCRU website or from Twitter soon.